The astonishing outcome of Malaysia’s elections on 9 May has set in train a series of rapid and important changes, among them the appointment by the King of a new and old Prime Minister in Dr Mahathir Mohammad; new appointments to key ministries; former Prime Minister Najib Razak’s resignation both as President of his party UMNO (United Malays National Organisation) and of the Barisan Nasional (National Front) coalition he led to defeat; and the release from prison of former Deputy Prime Minister Anwar Ibrahim and his pardon by the King. This is all happening at such a pace that prediction and even analysis has its risks, but we still need to assess the implications and likely directions. The new ruling coalition—Pakatan Harapan (Alliance of Hope)—is made up of diverse parties with differing, and in all likelihood, clashing objectives. Anwar’s PKR (Parti Keadilan Rakyat, People’s Justice Party), based on the Malay community, presents itself as a moderate, multi-ethnic and reformist force. The Democratic Action Party, which achieved the second-largest number of seats after the PKR within the new government, is Chinese-based and among its ambitions is an end to the institutionalised discrimination against the Chinese community. Mahathir’s new party Bersatu (United) won significantly less seats, but also represents the Malay constituency and Mahathir would doubtless wish to see it get some wins. Another small party, Amanah (Trust), is an offshoot of the staunchly conservative Muslim party PAS and asserts relatively moderate but still Islamic aims. A new grouping from the Sabah, Warisan (Heritage), with its support from the colourful ethnic mix in that State, will be seeking gains for East Malaysia. The leadership of these parties is actually quite experienced and will be looking for rewards for participation in government, not least to consolidate their parties’ position in the electorate ahead of the next election. The previous Barisan Nasional (BN) government was less focused on policy issues, beyond an increasingly strong commitment to Islamic and Malay supremacy, and kept its team together with lashings of money corruptly acquired. If the new Pakatan government is to hold together, it will not be able to engage in these sorts of practices without selling out on its promises to restore integrity to government. 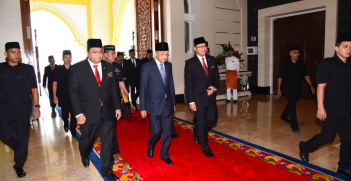 There will inevitably be tensions between and within the member parties of the new coalition as well as between Mahathir and his putative successor Anwar. 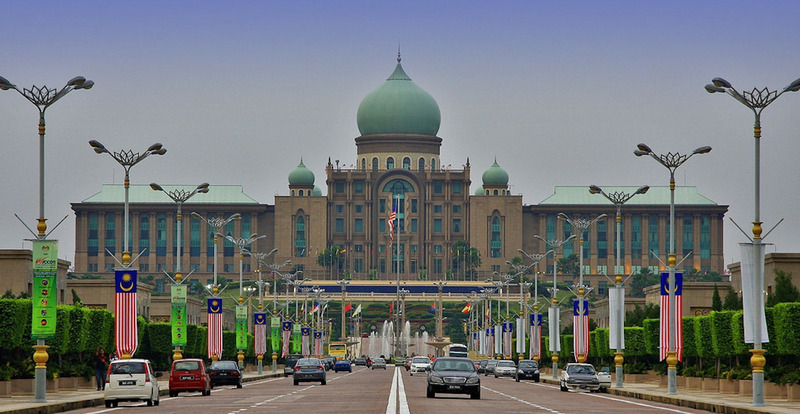 Malaysia’s new leaders know only too well that the previous government maintained its long rule in undemocratic ways: through control of the press and television; suborning national institutions such as the Electoral Commission and the Anti-Corruption Commission; gerrymandering the electoral boundaries; coercing the judicial system; and other kinds of manipulation. Mahathir knows, because many of these flaws were initiated under his earlier rule. The new ruling coalition has vowed to clean up the system, but it may be tempting to do so gradually. All this could suggest that it could prove too challenging for the new government to fulfil the expectations it has aroused. However Malaysians voted for change and greater integrity in government and will demand fulfilment of Pakatan’s pledges. Also, Mahathir and Anwar, along with Pakatan’s other leaders, know that this is their big chance, miraculous as it is, to show how a better Malaysia can be created. Their survival in office will depend on it. Compromise will be essential, particularly on how the political, economic and social pies will be divided. The negotiations will be robust. Mahathir and Anwar, experienced and wily operators both, will need to manage their own rivalry, until and after Mahathir’s promised handover of the prime ministership to Anwar. They will be aware too, that UMNO and PAS, while beaten and still in shell shock, can be expected to rebound. Their crony capitalist associates will work with them with a view to resuming their depredations. They will be quick to claim that Malay interests are being sidelined, and that Chinese-Malaysians are seeking to dominate politics and access to economic opportunities. This will be a persuasive narrative for disadvantaged Malays. The new opposition may also seek—in any circumstances where the new government is seen as divided, chaotic or damaging Malay interests—to foment violence on the streets. They surely retain links to the bands of Malay supremacist bullyboys, who would need little incitement. A state of emergency could be declared. But for this strategy to succeed, the police, military and ultimately the monarchy would need to be complicit. It’s not an implausible scenario. The wider implications of the change of government merit consideration. It is likely to be an unwelcome surprise to some of Malaysia’s ASEAN partners. Thailand, stuck in a time-warp under yet another military government, will be thinking hard about the long-promised elections and what the consequences might be. Rulers of other autocratic regimes in the region will also be reflecting, and probably tightening their grip. 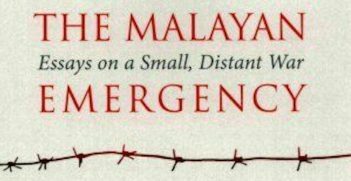 In neighbouring Singapore, which touts itself as a democracy, its government has sustained itself in office for decades by employing some of the same means that embedded BN in power for so long; the overthrow of BN will have caused some quiet tremors there too. Miles Kupa is a Visiting Fellow at the Coral Bell School of Asia Pacific Affairs at the ANU and a former Deputy Secretary of the Department of Foreign Affairs and Trade. He was High Commissioner to Malaysia from 2010-14 and earlier served as Ambassador to Iraq, the Philippines and Thailand, as well as High Commissioner to Singapore. He is a past Vice-President of the AIIA ACT Branch. 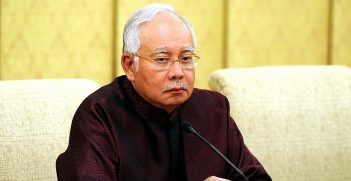 What's Next For Malaysia's Najib Razak? The arrest of Najib Razak, the former prime minister of Malaysia, on Tuesday represents a clean break from the past for all of Malaysia. The end of one-party rule has opened up the possibility of a new era of good governance in the country.